There are 8 reviews of Coach for Men (new). Coach has had a rather abortive history in fragrance, with many starts and stops. The original Coach the Fragrance/Coach for Men (2007/2009) pair initially launched the popular handbag house into the world of olfactory goodies, but the fruity floral/citrus woods pair fell mostly on deaf ears expecting more from the house. Alongside this, a scent called Leatherwear (2009) also saw release and was duly shelved as well. Naturally, hipster colognoisseurs not allowing themselves to like anything until it's pulled from the market suddenly loved the discontinued pair, and prices shot to the moon on what was then and still is now a pair of generic duds. Coach then recycled the "Leatherwear" name for a numbered trio of scents in 2013, representing light, medium, and dark leather concepts in scent form. These were actually quite good, but sadly too niche at a time when Coach didn't have enough respect in the market to pull it off, and they too were shelved. So now here we are, with the original Coach the Fragrance/Coach for Men pair relaunched again, in different bottles and containing entirely different scents. Coach for Men (2017) seems to merge some of the leather concepts on display with the original Leatherwear into a faux-ambergris 2010's trend-savvy fresh fragrance that actually shows the right way to make use of the much-maligned ambroxan molecule. Folks who hate the genre won't be won over by anything containing ambroxan, so stop reading right now if that is you, but anyone on the fence about what to try and what to avoid might find Coach for Men to be a good starting point, as it is a rare example of a perfectly-balanced masculine using the ambroxan/norlimbanol pair. Overall, the scent mixes a warm suede with a "cool" spice heart and fruity top that contrasts well against the pseudo-aquatics and ginger spice variants within the genre. The biggest trick of Coach for Men is that is isn't overbearing, scratchy, syrupy, or cloying. Granted, there is nothing particularly natural about the smell of the stuff, but I've just about given up on that expectation in the modern designer segment anyway. 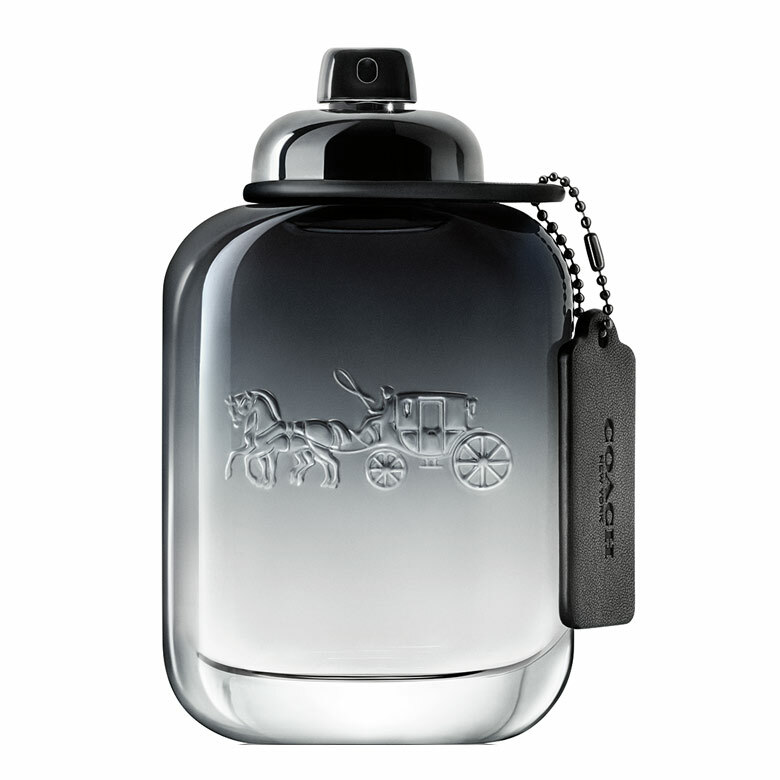 The opening of Coach for men commences with bergamot, kumquat, and pear. I get a huge callback to 90's fruity ozonics with this opening, except minus the ozone, with the suede of the base coming in early to mingle with the top. Heart notes of cardamom, coriander, and geranium are pretty obvious too, as the spices mix with the barbershop-grade geranium to make this feel semi-aftershavy for a an hour or so after application. The fruit mix with this spicy barbershop heart to make Coach for Men tip toe across a line between masculine and feminine, so I wouldn't feel too intimidated by the leather note by this point, since this is not a very butch smell at all. The ambroxan base in this is dare I say beautiful, applied lightly and assuredly like how Creed would a natural ambergris, with only a small dollop of synth woods and the suede flanking the anchoring note. The Haitian vetiver finish is fresh, and not smoky or grassy like other varieties, mixing well with the ambroxan and leather to keep the whole ambiance of the scent crisp and detectable without going to sandpaper or condensing to cough syrup like others that lay on the ambroxan too heavy in their drydown. Wear time is sufficient at 8 hours and sillage is medium in strength. Coach for Men should be a good office-safe affair but also has some potential for casual evenings too, but it isn't particularly virile or sensual for clubs and intense romance. I'm not fond of the wonky spray head on the bottle, and can see it being broken easily with the shape of it leaving open potential for bending if dropped, but that doesn't affect the smell. Modern guys looking for an accessible leather note that stays fresh and won't break the bank, instead of getting fleshy with overpriced shoe leather tones like Tom Ford Ombre Leather (2018) or eye-watering with petrol notes like the lovely but challenging Dior Fahrenheit (1988)can look no further, as Coach has you covered with Coach for Men. My biggest complaint if there was any to lodge at this is the opening is the most boring part with all the fruit, and if sniffed per chance from the sprayer, some folks may unintentionally pass it up thinking that Coach for Men is just another average ambroxobomb. Once more, this is likely not to win over fans of natural or artisinal fare, nor will it steer vintage guys to put down their powerhouses, but that's okay. I think Coach knows their audience with this one, and have done really well to actually make the ambroxan replicate the feeling of real ambergris in its application, which was its intended purpose all along, but lazy perfumers have seen to it that the perception of it is quite the opposite. My only hope is that Coach doesn't decide to abort this masculine fragrance like it has all the others, because I think they actually have something rather worthwhile this time, and since perfumers Anne Flipo and Bruno Jovanovic have proved with Coach for Men that a semi-convincing imitation ambergris tone is possible, other houses will take a nod from them and start toning down their use of it, with low-atranol oakmoss or leather notes flanking alongside in future creations to add much-needed tonal variety to this market segment. 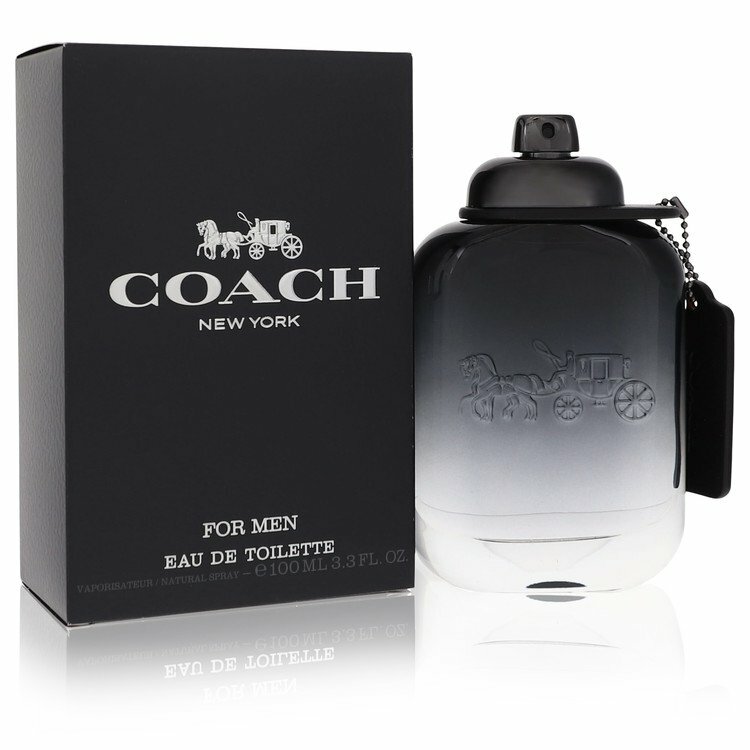 I wouldn't exactly call Coach for Men a miracle juice, but it's a real glimmer of creativity among an ocean of dour 2010's smell-alikes, and that's definitely worth a thumbs up from me. A beautiful suedish freshly cardamomish vetiver from Coach NY. Aromatic, greenish, delicately lemony, vaguely tea-veined (and "orientalist") a la Bvlgari Pour Homme Soir (probably the lemon-cardamom's effect), measured. A modern clean urban fragrance. Coach for Men is a really nice smelling cologne for the first 10 minutes. After that, pooof! It's gone. What a shame since the opening has such good potential. As mentioned before an "intense" version would be nice. This cologne smells wonderful, only for 15 minutes. It is so weak, and to think that it has "Ambergris" in it, it should last over 10 hours, but NOT. Coach should make an "Intense Version" of Coach for Men. At first, Coach for Men (new) strikes me as a retelling of classic scents of decades past (first to come to mind is Azzaro Onyx): Smooth, amber-laden, and classy. I found myself drawn to its moderately peppery-leathery-fruity-spicy bright and smooth quality and sniffed my wrist many times since application. Longevity is okay, about 6-7 hours before fading on me. Overall, Coach is a scent for the present era, a fresh, pungent cologne that reflects the age we live in: Brash though introspective, compassionate but fiercely independent, and outgoing yet with reserve. There are no member images of Coach for Men (new) yet. Why not be the first?